The Big Boss established several rules for making a great Bruce Lee movie, mostly by getting them wrong. 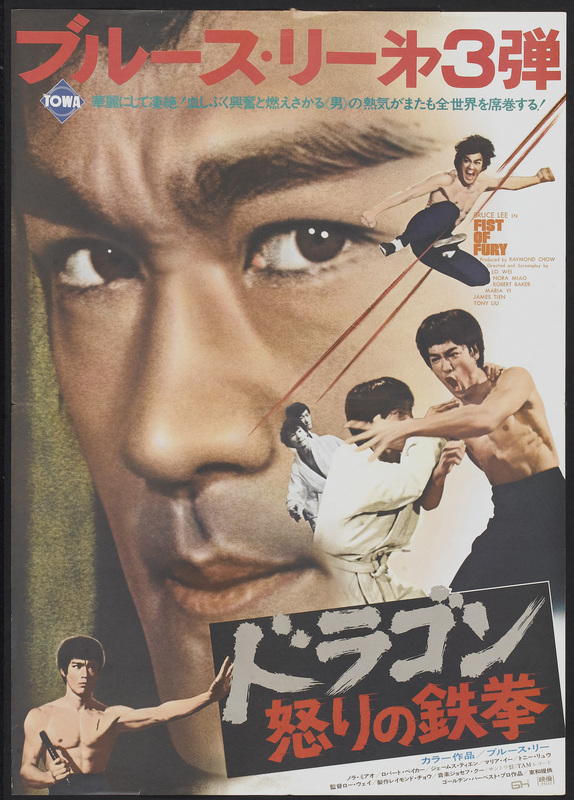 The number one rule, which should have been obvious, would be to make Bruce Lee the focus of the movie. The second rule would be letting Bruce Lee do what he did best, be a cool motherf’er. The third rule: let Bruce Lee do a lot of fighting. While it is impossible to keep Bruce from being cool, The Big Boss fumbles on rules 1 and 3. Happily, director Wei Lo learned from his mistakes. His next movie with Lee, Fist of Fury aka The Chinese Connection, would get everything right. Every aspect of the movie is a magnitude higher than its predecessor, from the production levels and costume design, to the script and quality of acting. And yes, it has plenty of Lee. But is it worthy of his legend? Admittedly, I was slightly nervous going in. Lee’s character, Chen Zhen, makes a striking entrance wearing a fly, all-white suit, but he blows his cool at the funeral of his Master, Huo Yuanjia. Dramatically blows his cool. Like, Italian widow in a mob movie level, jumping into the grave and clawing at the casket. The elder member of the Jing Wu school has to knock him out with a shovel in order to shut him up. Not the most auspicious start. More worrisome is the fact that Lee’s character is once again saddled with an obligation not to fight. Instead of being held back by a promise to his mother, this time he—and the others of his school—are trying to honor the non-confrontational ideals of his dead master. This position is painfully tested when a representation from a Japanese Judo school busts into a memorial service and presents the Jing Wu with a gift, a sign proclaiming them the “Sick men of Asia.” Chen is literally quaking with rage, but somehow restrains himself from accepting the challenge to fight, even when he is being smacked in the face. What the movie does not make immediately clear is that the stakes for Chen are considerably higher than just breaking a promise. The film is set roughly around the turn of the 20th century when the Japanese essentially occupied the city of Shanghai. China was still recovering from being on the losing end of the first Sino-Japanese war, and had to endure the insult of foreign stewardship in much of its territories. The Chinese authorities in Shanghai held little real power, so if Chen lashes out, he’s not just disobeying his teaching, he’s endangering the entire school. For everyone’s safety, he must stand there and take it. Until he’s alone, that is. Once he is away from official eyes, Chen walks into the offending school’s dojo with full Lee swagger, to return their “gift” and their challenge. He announces to the room full of bewildered Japanese that he is the worst student of the Jing Wu. Maybe that was just to lull them into underestimating him, but I think he meant that he was the worst student because he was about to break the Jing Wu oath of non-confrontation in a very big way. I enjoyed Lee’s fights in The Big Boss, but the difference here is astonishing. This is Lee at the top of his game, breaking out his most signature moves, like the quick thumb flick across his nose when he’s getting ready to start something, or breaking out the nunchucks when he is about to finish it. There are so many moments that would be reproduced in countless action movies to come. After a couple of quickly defeated challengers, Chen takes on an entire room full of fighters at once. He has them so psyched out that even though they have this one man completely encircled, his slightest movement makes them all jump back. By the end, he’s the only one in the room standing, surrounded by moaning opponents rolling on the floor and clutching their wounds. Chen, who has barely broken a sweat, concludes the humiliation by making the two knuckleheads who challenged him at the service EAT the “Sick Men of Asia” sign. It’s a big sign, too. In hindsight, they should have just sent a flyer. Once the high-kicking genie is out of the bottle, there’s no putting it back in. Chen next unloads his anger, justifiably, on the “No Chinese or Dogs Allowed” sign posted at the entrance of a city park. This one is especially insulting, as dogs are, in fact, allowed in when accompanied by someone who is not Chinese. Even more insulting is the group of Japanese who offer to take him into the park if he acts like their dog. Bad timing on their part. Chen reduces the sign to splinters and leaves the jackasses in only slightly better shape. These acts of uncivil disobedience get Chen in very hot water, especially with Hiroshi Suzuki (Chikara Hashimoto), the head of the Judo school. His first impulse is to have every member of the Jing Wu school killed, but he settles for demanding Chen be turned over to the police. Just as Chen is preparing to flee the city for the sake of the school, he discovers Suzuki may be responsible for poisoning his master. The violence escalates rapidly, as Chen vows to introduce all those involved in the crime to his Fist of Fury. Despite the plot’s weighty elements of revenge, social oppression, and loss of dignity, the movie is undeniable fun. Wei Lo handles the tone with far greater deft than his first film. Aside from one display of inhuman strength and a couple of thrown dummies, he keeps the exaggerations to a minimum. There is nothing as jarringly corny as the man-shaped hole in the wall from The Big Boss, although he couldn’t resist punctuating a couple of nut punches with a kettle drum gong. Wei Lo treats the humor with a wry wink. For instance, Shanghai’s lead detective (the director himself) is first shown smoking and wearing a Fedora, like a Qing Dynasty era Mickey Spillane character. Naturally, Lee gets the best lines and the best reactions. As if to make up for him being a naive rube in the first film, this time Lee gets the better of his opponents mentally as well as physically. My favorite part is when Chen shows off his unexpected talent for disguise to get close to his enemies. First, he picks up one suspect while posing as a rickshaw driver, the period equivalent of pretending to be the limo chauffer. Next, he stakes out the police station as an old man selling newspapers, even handing one directly to the oblivious detective. None of the bad guys ever catch on, because who would expect a master warrior to also be a master of disguise? The best moment is when he infiltrates Suzuki’s inner sanctum while pretending to be a telephone repair man. Chen works quietly behind a pair of thick glasses and a shy smile while Suzuki and his underling sit only a few feet away, complaining about how elusive he is. Chen’s investigation leads him to the inevitable showdown, which is where the movie really shows off Lee’s brilliance. Wei Lo dedicates the entire final act to an epic, multi-stage climax. It starts with one of my favorite moments in the film. Bursting into Suzuki’s school, Chen does the honorable thing and tells the few students left in the front room to scram. Everyone nervously prepares themselves for the fight, except for the one guy who turns around right there and runs off. Do you know who the scram guy was? He’s the guy who is alive in the morning. A bad student, perhaps, but a great decision maker. Besides, who’s going to expel him if all his superiors are dead? In classic action movie style, Chen faces a series of increasingly challenging opponents before reaching the top man. Suzuki’s number two guy gets the most spectacular death (disarmed and impaled by his own sword, all in one move), but the definitive duel is with the boss’ massive Russian bodyguard, Petrov (Robert Baker). We know this guy is a contender because he’s earlier shown pounding nails into a board bare handed as easily as if he were driving pencils into Styrofoam. Indeed, with his reach and power, he gives Chen a run for his money. While Petrov’s fighting technique is formidable, it is also rigid. Chen adapts and improvises, like when he gets out of a potentially fight- ending arm bar by biting Petrov’s leg. Chen controls the fight from the start, and once the Russian giant starts looking scared, it’s all over. This fight is also the origin of one of Lee’s most iconic moments, the psychedelic slow-mo double exposure effect of him centering his strength. Maybe it was supposed to be Petrov’s point of view after all those blows to the head, but whatever the reason, it is stunning. Twenty-seven years before The Matrix, there was Bruce Lee. It’s not as great as the scram guy, but I love seeing Suzuki slowly receding behind the door as Chen finishes off his Russian ringer. He’s smart enough not to take on Chen empty handed, not that his katana is going to help once Chen brings out the nunchucks. As with The Big Boss, things don’t end on a high note. That fate was sealed when Chen promised his fellow Jing Wu fighter and fiancée, Yuan (Nora Miao), to take her to a place where their dreams would come true. That kind of starry-eyed optimism always spells doom. And not to point fingers, but once again, the actions of Lee’s character leads to the brutal murder of most of his friends. This grim, reoccurring theme might have been one of the reasons Lee parted ways with Wei Lo (in addition to the director’s uncomfortably nationalist tone, that Lee didn’t care for). Even with this bummer of an ending, Lee finishes the movie in style. I dare anyone not to smile at that final shot. 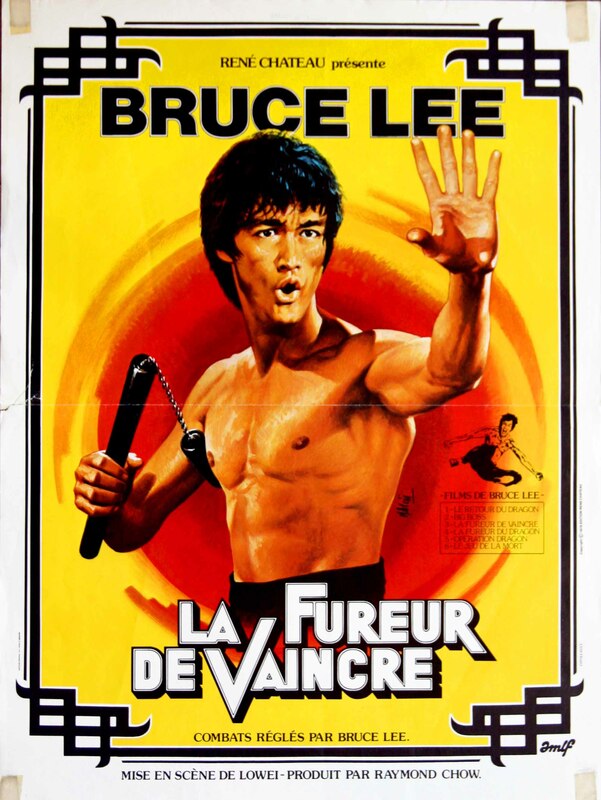 While Fist of Fury has its flaws, it is the film that finally does Bruce Lee justice. A bona fide classic all the way. And speaking of Way…see you next time.